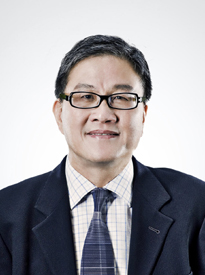 Soon brings with him over two decades' practice experience in banking, corporate and tax law, as well as some seven years of lecturing on revenue law to LLB and LLM students at the National University of Singapore. He has handled a substantial number of deals involving loans and security documentation. He has been involved in negotiating and drafting structured finance documentation, syndicated loan documentation, corporate documents, such as shareholders’ agreements, joint venture agreements and sale and purchase of shares agreements and restructuring transactions. He advises American, Japanese, European and Singapore banks and financial institutions on various aspects of banking and lending laws and compliance issues, including international loan documents and security documentation. Represented Singapore Technologies (“ST”) in the merger of trunk radio business of ST and SingTel. Advice on joint venture and bid for fixed line licence. Represented StarHub in its joint venture with UOB. Represented 3i in the purchase of shares in Broadway Industrial Group Ltd. Represented CVC and JP Morgan in the acquisition of the business of SingTel Yellow Pages. Represented DNATA in the purchase of the shares in CIAS. Acted for Port of Singapore Authority in the divestment of sludge business. Acted for Lion Consortium in the bid for and acquisition of Senoko Power Limited. Acted for one of the bidders in the bid for Tuas Power Limited. Acted for one of the bidders in the bid for PowerSeraya Limited. Represented a group of banks in the financing of the takeover of Jaya Holdings Ltd. Represented a group of banks in the financing of the purchase of the Four Seasons hotel chain. Represented a group of banks in the financing of the Keppel Merlimau power plant project. Represented Habib Corporation Berhad in the financing of the purchase of Chuan Hup’s marine business. Acting for lenders in the financing of construction of oil terminals on Jurong Island. Restructuring advice for a property group. Restructuring of a listed technology group.